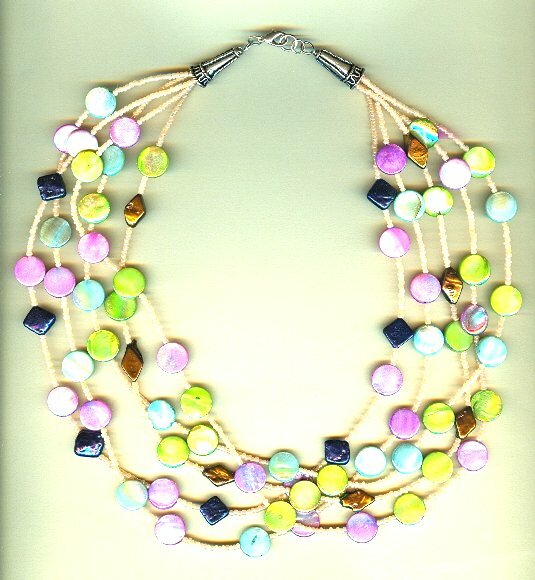 Sail upon the warm clear waters of the Caribbean Sea in this multi strand mother of pearl disc hand beaded necklace. 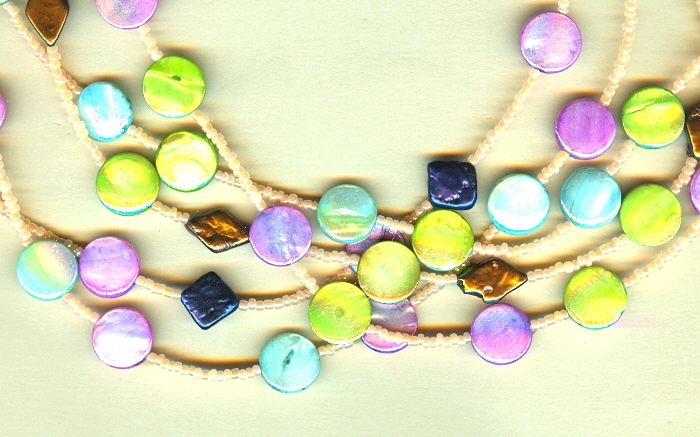 Five strands of apricot seed beads make a happy backdrop for a colorful calypso band of mother of pearl discs. 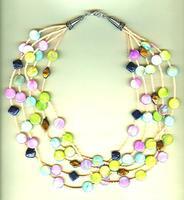 You can wear this beaded necklace as is or you can twist the strands for a different look. The beaded necklace closes with a sterling silver lobster claw set between ornate sterling silver cones. Feel like you?re on vacation every day in a hand beaded necklace from SPARKLE PLENTY.